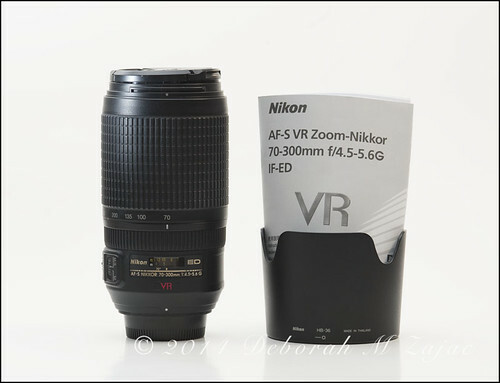 4/52 AF-S VR Nikkor 70-300mm f/4.5-5.6 G IF-ED Lens, originally uploaded by CircadianReflections Photography. AF-S VR Nikkor 70-300mm f/4.5-5.6 G IF-ED Lens. I’m pleased with how even I got the lighting, and how white the background looks. I only added a little contrast, I dropped the exposure a tick in post development, and I added a wee bit of output sharpening.